The one break-through that this industry needed has finally materialized – 21st Mortgage’s Community Rental Program, also known as “CRP”. We believe that this will grow into the biggest deal since sliced bread for park owners that have vacant lots and are trying to find the most cost-effective way to fill those lots. Under this program, 21st underwrites the entire cost of filling your lot – even the move, set and skirting – and puts that into an affordable monthly payment for the park owner. You then rent the home for the same or more, and you have effectively filled a lot without using any of your cash. We had faith that Warren Buffet (who owns 21st) would come up with a brainstorm like this – we just wish he’d launched it 12 years ago! Stay tuned in this newsletter for more information on this revolutionary development in filling vacant lots. We have a park manager that is so good that we won’t even tell you which park they are at, for fear that someone will try and steal them. We won’t even tell you which state. Under torture, we would not even reveal what gender they are. This manager is probably the best one in the U.S. So how are they so good? This park manager is the only one we have ever seen that produces their own “90 Day Plan” each quarter, which outlines what they hope to achieve and how they are going to accomplish it. The very process of hatching a “plan” brings focus to what’s being done, as well as keeping the park owner in the loop on the direction the park is headed. We are big on plans of all types – daily, weekly, monthly, annually – so having a park manager that is also a planning nut is a huge asset. This manager believes that the first thing any new manager should do is to go door-to-door and introduce themselves. That’s the only way to set the atmosphere of mutual respect and working together. It also sets the tone for a manager who is directly accountable and on top of things. They personally met every tenant within two days. This manager believes that the park manager and tenants must respect each other. To accomplish this, we build trust by meeting our obligations, and we expect the tenant to follow suit in paying their rent on time. When you treat the tenants as adults, it often spurs them on to behave better. When you treat the tenants like they are hopeless, they respond in kind. This manager walks around every trailer every month – not just down the streets, but the sides and the backs, too. This allows them to spot any “hidden” rules violations, as well as spot water leaks. The manager has lost 35 pounds since they started, from all that walking. And that’s a win/win. Rather than yell at a tenant “your yard is disgraceful, you pig!” this manager has found that treating people professionally elicits them to do a better job out of guilt rather than hatred. If you expect the best from people, sometimes they deliver. Talking to them in private and being careful with word choice can be the difference between the angry tenant who begrudgingly throws away a tire in their yard, and the happy tenant who then goes down to Hope Depot and builds a rose garden. This manager understands that the customers are king. When showing a vacant home or a vacant lot, the customer dictates the meeting time, not the manager. If the tenant needs to come by Sunday at 5 PM, then that’s the time the manager will be there. The manager will not say “I’m busy Sunday, come by some other day”. This manager always answers the phone with “I’m the proud manager of the mobile home park”. They then pepper the caller with tidbits of why the park is better than any other, and nice things that are currently being improved on in that 90 Day Plan. This manager even keeps a mirror on the wall to make sure they’re smiling when they answer the phone, or meeting with a resident. Because they are so “up” at all times, you can feel a more optimistic vibe coming from the tenants, too. This manager takes their business cards around and puts them in every restaurant and store they go to. They are talking about the park on their free time. As a result, the park has found all sorts of new tenants from the most unlikely spots. This manager literally has no off button. So how good is this manager? Look at the stats. Collections: 100%. Existing park-owned home occupancy: 100%. The RV section occupancy is up 700%. And we have five homes moving to ours from other parks, just from people who like the manager and believe in their talents. What’s the value of five occupied lots? In this park, around $125,000. OK, can you deal with those stats? If there was a game show for park managers, this manager would surely win it. But there are lessons there for all the less successful managers to adopt and improve their level of play. Nothing makes or breaks a park like a good manager. So see if yours can compete with this one and, if not, either retrain them or move to the next. Remember our favorite motto: “it’s easier to change people than to change people”. OK, let me get this straight. The park manager is going to run a grocery store, and cook hamburgers and fries, throughout the day to serve to your tenants. Any ideas on the ramifications of this scheme today? I’m imagining on Monday you get a lawsuit for food poisoning. Tuesday, the chips all go missing (you find the wrappers in the maintenance man’s trash two days later, which is a mystery that has never been fully solved). Wednesday, the grill catches the building on fire, with the total damage to the building, after insurance, standing at $9,000. Thursday, the manager puts his hand in the fire while trying to retrieve his NASCAR hat, and goes to the emergency room. And then on Friday, you find that all the money the store made for the week has disappeared, so your net income for the week was around negative $12,000 (plus the legal bill for the food poisoning and the hospital bill for the manager which have not come in yet). And The Mobile Home Park Business Will Never Be The Same! We all know that Warren Buffet is the second richest person in the U.S. And we also know that the reason Buffet is so rich is that he develops great ideas and then acts on them. Well, one of the best ideas he ever had has made its way to the mobile home park industry. And this idea is the Community Rental Program, also known as “CRP”. We believe that this program will become a mainstay of the industry going forward, as it finally unlocks the door for park owners to fill their vacant lots without using any of their own money, and is supported by the endless financial resources of Warren Buffet. If you own even one vacant lot in your park – or are looking at buying a park with vacant lots – then you need to pay careful attention to this new program and see what it can do for you. We will be having a Lecture Series Event with question and answers on this topic in the next few weeks. Be watching for the announcement. 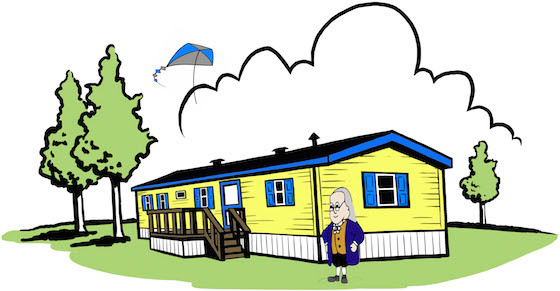 Benjamin Franklin never attended the Mobile Home Park Boot Camp, as he pre-dated the mobile home by around 150 years. But he did get the concept right. Franklin said “an investment in knowledge pays the best interest” – and that concept is as true today as it was in colonial America. 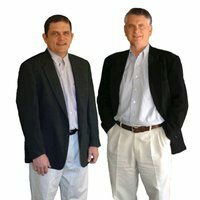 If you could turn the hands of time back 20 years, Frank & Dave would have been the first to sign up for Mobile Home Park Boot Camp, as it would have saved them hundreds of thousands of dollars in bad deals avoided, and private utility issues forewarned. Frank would have happily paid $10,000 to be told not to buy a park in Shreveport, Louisiana, and even more to know not buy master-metered gas that was already failing. So even though they can’t erase their mistakes, you can learn from them and save yourself a fortune. And that’s what Franklin was talking about. The next Mobile Home Park Investor’s Boot Camp is April 10th, 11th and 12th in Las Vegas at the Paris Casino. It’s a strange location for a course devoted to taking the “gambling” out of investing, but your significant other will definitely have fun there. Click Here to sign up or for more information. The Providence Arcade in Rhode Island is over 200 years old, and is credited as the first indoor mall in the U.S. However, the passage of years was not too favorable for the structure. It became impossible to attract new tenants into tiny retail spaces and the infrastructure was falling apart. 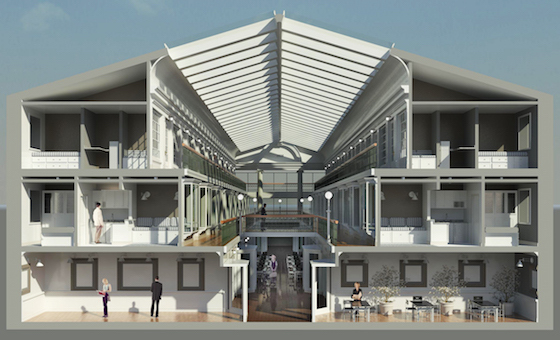 There appeared to be no solution until developers came up with an outside-the-box solution – to make the upper two floors into “micro apartments”. These apartments measure only 225 to 300 square feet in size – about the interior size of a small RV. The mall has now developed a huge clientele of young people who have just graduated from college and are looking for a first apartment. In fact, many of the retail store owners on the first floor now live in the tiny apartments above. 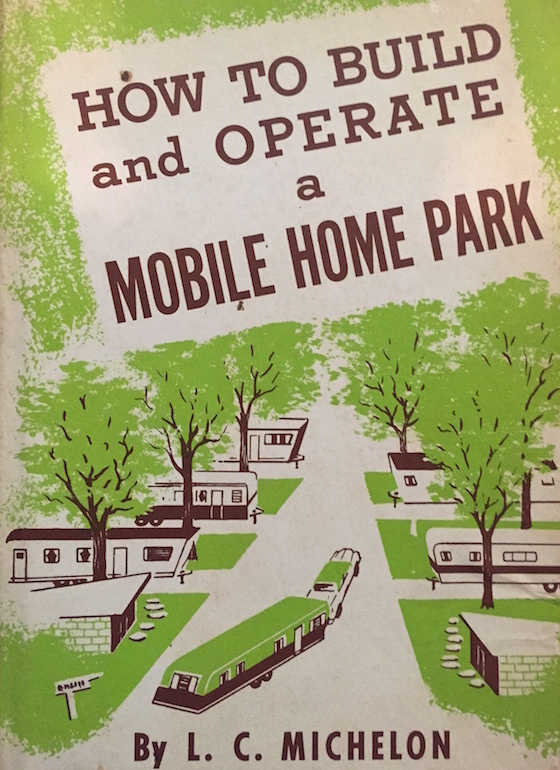 While we don’t see this market coming to most of the parks we own, we believe that this demand for small, urban dwellings will definitely have an impact on the mobile home park industry in the years ahead, if your park has the right location.